Neighbouring Bilbo Baggins on the left is the warm red door of number 40 Bagshot Row, a humble Hobbit-hole when compared to Bag End, modestly dressed with small white flowers and a stone slab porch. 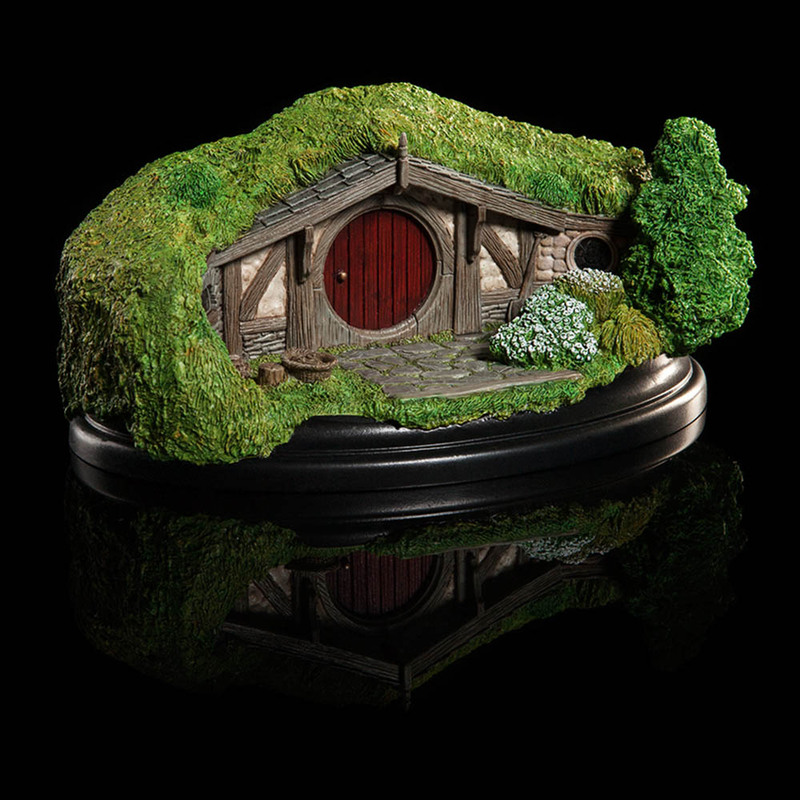 Well kept in true Hobbit fashion, it overlooks the Party Field and the Party Tree and is the second home in a series of collectible Hobbit Hole environments from the artists at Weta Workshop. 40 Bagshot Row is an Open Edition piece. Please note: Images are of a pre-production prototype. Each piece is painted by hand and slight variations will occur.